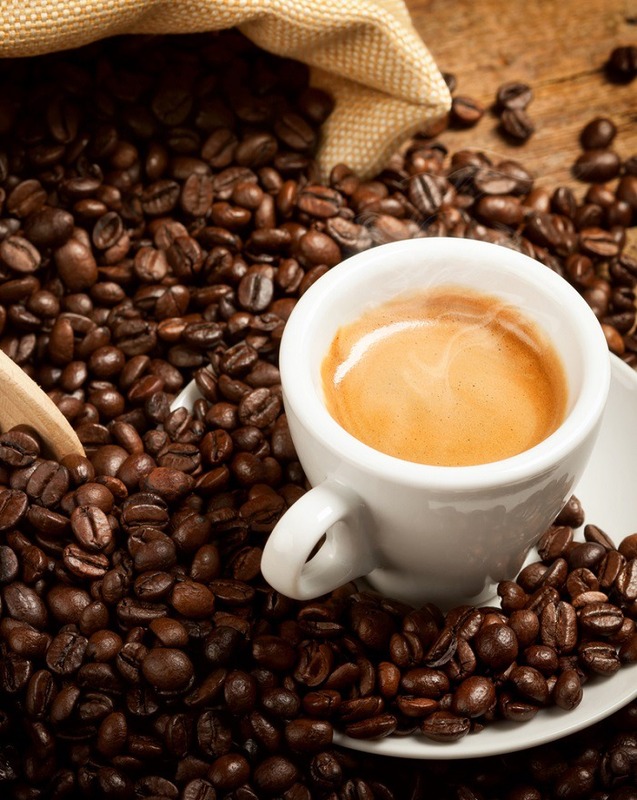 Espresso beans are coffee beans that have been pressed and dark roasted to make espresso. The dark roast gives espresso its distinctive bold and bitter flavor. Any variety of coffee bean can be pressed to make espresso, but there are certain qualities that you should keep in mind to make sure that your next cup is as enjoyable as possible. To find the best coffee beans for espresso, start by thinking about the flavor profile of your favorite coffee. For example, if you like subtle flavor, you might want to choose a lighter roast. On the other hand, if you like a little more bitterness, you might want to opt for a dark roast blend. The following are few things to consider when choosing beans for the perfect cup of espresso. The beans should have a depth of color, but they should not be too dark. Over-roasting is sometimes used to mask an inferior bean. The aroma should be pleasing and not acrid. If possible, ask to taste a bean to get an idea of what it will taste like when brewed. Check the roasting date on the bag. It is best to avoid anything more than 90 days old. Be careful about buying beans from open bins. 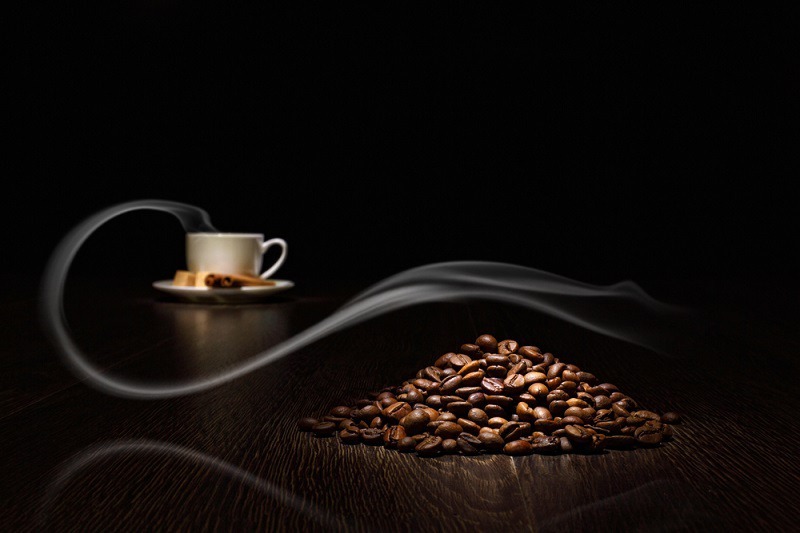 Air can degrade the quality of the bean and result in an inferior cup of espresso. Consider how you will use the espresso. If you will be using it in a drink where it will be heavily diluted with cream or milk, you do not need as expensive a bean as you would if you were drinking it straight. The following are some of my favorite artisan roasters that consistently provide a high-quality espresso bean. In 1895, Luigi Lavazza’s passion for coffee led him to seek out coffees of various origins to create unique blends that would provide a consistent experience with every cup. Four generations later, his company has positioned itself as a global ambassador of Italian coffee. 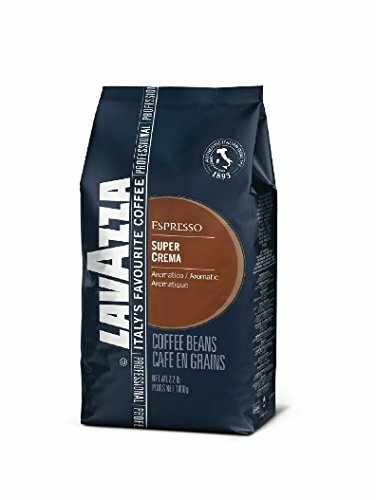 Lavazza™ Super Crema Espresso is made from a medium-roast 80/20 blend of Arabica and Robusta beans of both Central American and Indonesian varieties. 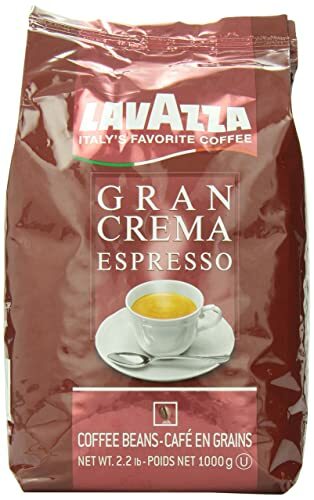 Lavazza™ Super Crema promises an intense aroma and robust espresso flavor accompanied by a velvety crema and no bitter aftertaste. The taste has sweet, smoky, fruity notes with a hint of hazelnut. The beans are suitable for both espresso and drip coffee preparations. 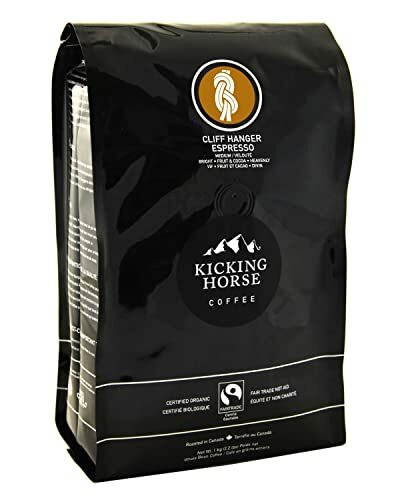 Kicking Horse® Coffee was created when two Canadian entrepreneurs with a love for coffee started roasting coffee beans in their garage. Twenty years later, the company is committed to providing 100 percent organic and fair trade coffees. In 2015. Kicking Horse® Coffee was named Canada’s favorite fair trade product. The company’s Cliff Hanger Espresso blend is available in grinds ranging from fine to coarse that are perfect for French press, drip, pour over, or espresso preparation. The medium-roast blend features bean varieties from Indonesia, Central and South America, and Africa. Your nose will detect hints of brown sugar, milk chocolate, and black currant while your taste buds will enjoy the complex fruity notes followed by a silky cocoa finish. This artisan-roasted blend uses beans sourced from Guatemala, Colombia, and Sumatra to create a bold coffee that is still low in acidity and smooth. 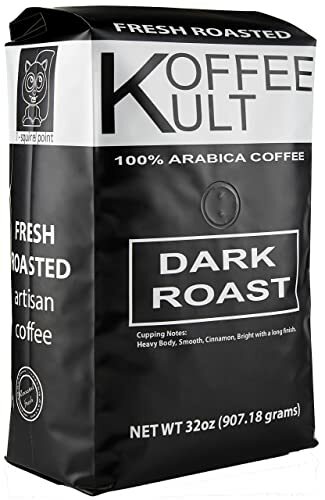 Koffee Kult’s signature dark roast coffee is organically-sourced and certified as fair trade. The raw beans are roasted in small batches immediately prior to packing to ensure maximum freshness. This blend is perfect for coffee and espresso lovers who enjoy their coffee with a heavy body and notes of cinnamon. The whole beans are suitable for a variety of grinds and can be prepared as espresso or in drip, French press, or pour over coffee makers. Founded by Darron and Eliana Burke, Café Don Pablo Specialty Coffees harvests its Arabica beans from its own dedicated coffee trees in South America. The nutrient-rich volcanic soil of the region is known for producing some of the best Arabica beans in the world. Every bean they process is scrutinized by their on-staff Q grader to ensure that only the best beans are roasted. All of Café Don Pablo’s coffees are artisan roasted in small batches to ensure freshness, quality, and consistency. 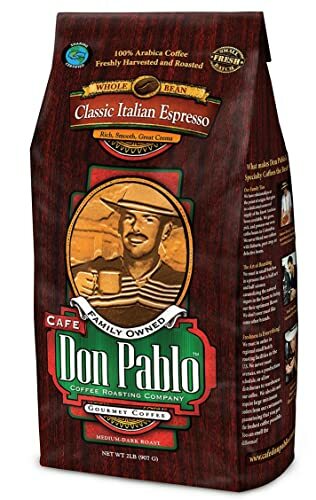 Café Don Pablo Classic Italian Espresso is a blend of Colombian Supremo and Sumatra Mandheling beans. The result is a complex flavor with mild, earthy tones that is still smooth with dark chocolate notes. Coffee Bean Direct has its own large-scale craft roasterie located in Frenchtown, New Jersey. This allows the company to offer the affordability and efficiency of some of the bigger coffee brands while still providing artisan-quality blends. Coffee Bean Direct roasts all of its beans in small batches that are then hand-packed to ensure that the coffee reaches you at the peak of freshness. The company’s most popular blend is their Italian Roast Espresso featuring a combination of South American and Indian beans. The blend is heavy and moderately acidic. The beans are oily and dark, which is an indication of the richness of the final product. Feed up with the mediocre coffee that he had been drinking since immigrating to America, Alfred Peet began sourcing and hand-roasting his own coffee to exacting standards in 1966. 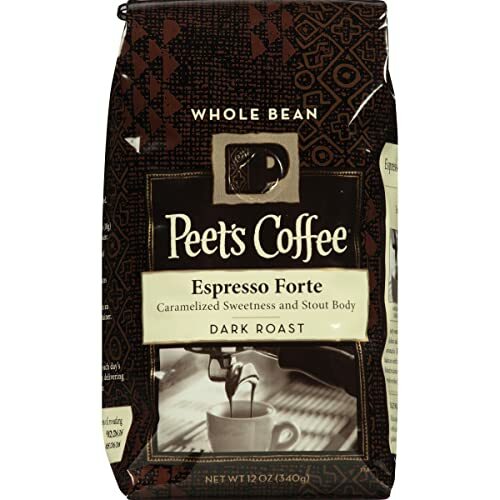 Since its beginnings in Berkeley, California, Peet’s Coffee created a coffee revolution that continues to this day. The company is so concerned with freshness that it monitors its products once they hit the stores and will pull anything over 90 days old. Crafted from a blend of beans from the Indo-Pacific and Americas, Espresso Forte delivers a stout-bodied coffee with bold flavor featuring a mix of brightness and earthiness. The strength of the coffee flavor is topped by a crema that is the hallmark of a perfect espresso. 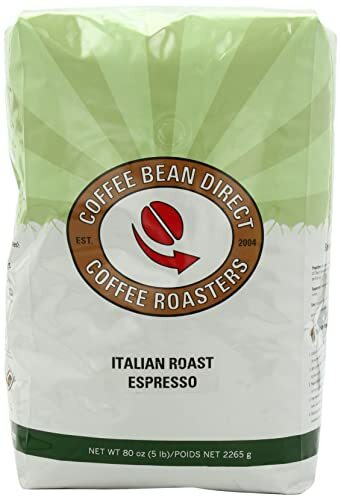 Although the robust flavor of these beans is enhanced by espresso brewing, the coffee is equally delicious prepared in a cone filter or French press. 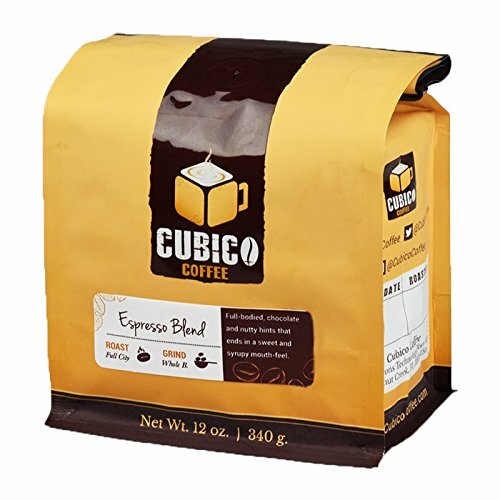 Cubico has been creating artisan coffee blends since 1887. The company is committed to sourcing only the highest quality beans from around the world. Cubico roasts its beans with a process that uses hot air to agitate and roast the beans at the same time. This ensures that the final product is uniformly roasted. Cubico even allows coffee aficionados to create their own custom blend. Cubico’s espresso blend features beans from Africa, Latin America, and Oceania. The flavor is slightly fruity, floral, and sweet with notes of chocolate, caramel, and hazelnut. The brew is full-bodied and pleasantly acidic with a syrupy mouth feel. Your nose will detect hints of nuts and chocolate. This blend shows why Lavazza™ is known as Italy’s favorite coffee. The combination of South American Arabica and Southeast Asian Robusta beans provides bold flavor, full body, and a velvety crema. Although ideal for espresso, this blend also works well in a latte or cappuccino and is suited to all coffee makers. This small-batch roasting company is located in Houston, Texas. Kaffeine Koffee uses only 100 percent organic Arabica beans that are air roasted to ensure that all of the beans are evenly roasted. Every bag of Kaffeine Koffee is handcrafted by the company’s master roaster who has over 50 years of experience roasting coffee. The company’s Colombian Supremo blend is well-balanced with a full body and just the right amount of acidity. The blend can be enjoyed as espresso, iced, or even cold brewed. Kaffeine Koffee claims it may not deliver the world’s strongest coffee but that each cup will be memorable. This blend is similar in richness and flavor to the company’s Italian Roast Espresso. The flavor is strong but slightly sweet, and each cup is topped by a luxurious crema. 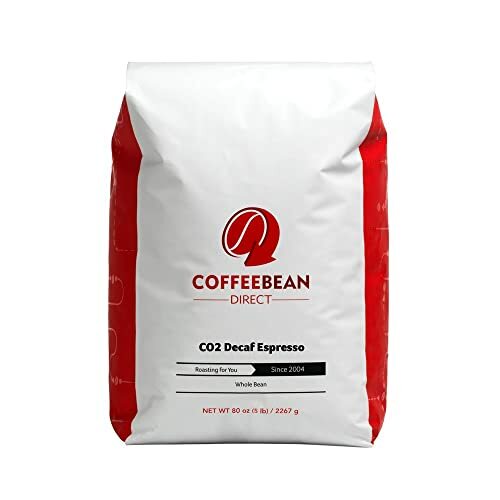 The CO2 decaffeination process ensures that the beans retain their maximum flavor. Now that you have found the perfect beans, here are a few things to keep in mind as you start to brew your espresso. Be sure to preheat all of your equipment, including the portafilter and cups, before brewing. Invest in a good water filter. This will prevent mineral deposits from building up in your machine and give you a better tasting cup of coffee.